La Fortuna waterfall – Travel to the magnificent La Fortuna Waterfall! The waterfall towers over 225 feet and is surrounded by dense, lush tropical rain forest and an emerald pool of water below. Swimming is permitted so be sure to pack your swim suit and water shoes. Arenal 1968 walk- Until just recently, Arenal used to be one of the most active volcanoes in the world. Although still an active volcano, Arenal has slowed down in its eruptions. Enjoy majestic views of this colossal giant and the surrounding areas, as well as see the flora and fauna, tropical birds and butterflies in their natural surroundings. Manuel Antonio– Offers the natural beauty of primary and secondary rainforests, exuberant wildlife, sparkling white sandy beaches, shimmering blue water and fresh ocean breezes. Here you might be able to see all four types of monkeys: howler, spider, white faced capuchin and the endangered squirrel money, along with sloths and other tropical creatures. Zip lines and canopy tours- zip-lines have developed into one of the country’s most popular and widespread activities. They offer travellers a unique means of accessing beautiful and remote natural areas. You can find zip-lines all over Costa Rica. Surfing- If you have always wanted to learn to surf or want to step your surfing up a level in line with your budget, these adventure vacation packages are the ideal choices for you. Volcanos- Arenal,The massive volcano,which towers above the nearby town of La Fortuna, remains a breathtaking sight. 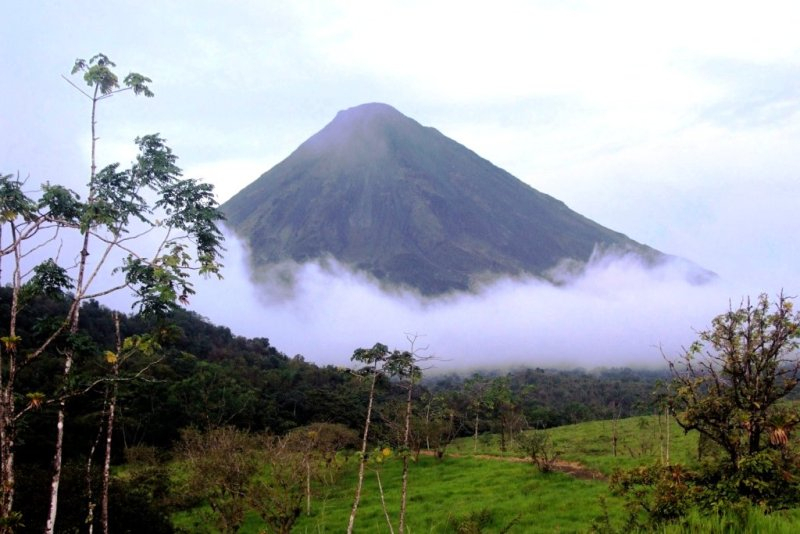 And the area around Arenal is filled with outdoor adventures. There are waterfalls, swimming holes, hiking trails, whitewater rafting trips, zip lines — and don’t forget those terrific hot springs. Beaches- Travelers who like beaches with good facilities will be happy to hear that Costa Rica is home to several mega beach resorts. With these adventure vacation packages , Expect to find lovely white sand beaches lined with palm trees, rugged beach coves, and volcanic black sand beaches.